Managing small business finances is often much harder than signing multi-billion dollar deals in the world of big corporations. For this reason entrepreneurs need to have at least some basic knowledge of finances before starting their business. In this article I tried to create a useful guide that will help small business owners to save money and make their companies more lucrative. There are several types of financial statements. Before you start your business venture you should learn what type of information you can find in each one of them. P&L Statement– this essential statement summarizes company’s revenue and expenses and determines its profits and losses. Statement of Cash Flow– this statement offers information about net increase in certain period of time. It summarizes all sources of cash, determines cash flow and ways available cash is used. Balance sheet– it summarizes company’s assets and liabilities and determines the size of its equity. Companies whose revenue depends on projects usually need to determine the project budget in advance. Many entrepreneurs tend to underestimate the required budget by relying on data from previous projects. Doing this without taking inflation and various other factors into consideration causes entrepreneurs to face money shortages during important project phases. Each project comes with its own challenges, some of which are hidden form plain sight. To prevent this from happening, entrepreneurs should always slightly overestimate project expenses, which will help them to manage critical situations. JIT strategy is used a lot in corporate world. The acronym stands for ‘Just in Time’ and it means that if you require $1,000,000 for running your business for next year, you shouldn’t take a million dollar loan, because you will pay interests on the whole sum, up till next January. You should borrow one fourth of that money, to cover immediate expenses, and later you can use your company’s profits or continue borrowing smaller sums. This way you will have much more time to pay off your debts, overall interests will be much smaller and at the bottom line you will probably borrow much less money. 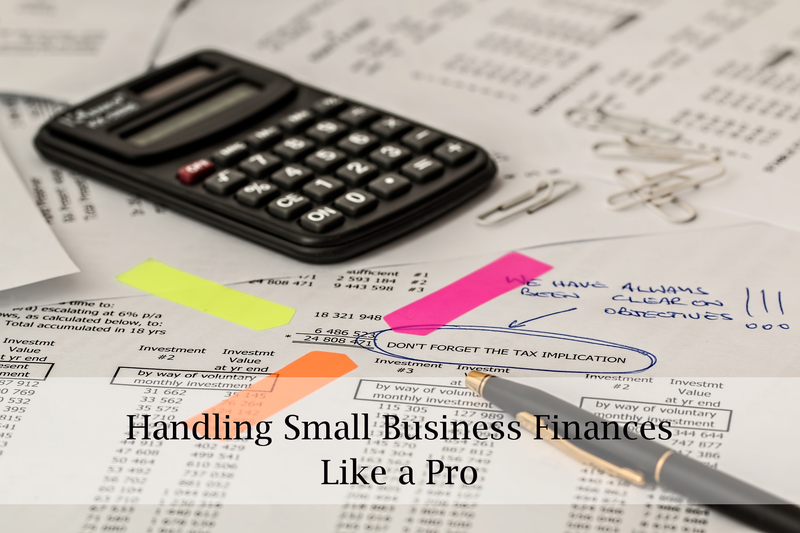 When dealing with small business finances you need to save as much money as possible, but sometimes you simply need to hire professionals to deal with tasks that require higher levels of expertise. Many entrepreneurs decide to hire bookkeepers, which is great, considering how much time keeping track of finances takes. Hiring professional debt collectors is also a good idea, considering how much harm bad debt can cause to small businesses. Always contact local agencies when hiring debt collectors. So if your company is doing business in New South Wales, contact a debt recovery agency based in Sydney. Ability to negotiate good deals is one of the most desirable skills an entrepreneur can have. Even if you are not a good negotiator, you can enroll on various on and offline negotiation courses or hire third-party negotiators to settle big deals. You should negotiate just about everything, from loans to contractor and delivery jobs. Also, you shouldn’t be afraid to negotiate the terms of agreement that is already written, because when it comes to contractors, suppliers and delivering companies in most cases they are expecting you to do that. The fact that small businesses have much less money on their accounts, gave some entrepreneurs an idea that the key of successful small business finance running lies in cutting all company’s costs. By managing finances this way, they miss many growth opportunities. Good small business finance practices include both saving money and spending big, especially when it leads to fastening business growth and improving products or services from company’s offer. One of our regular finance writers, John Stone is a business consultant and contributor to Bizzmarkblog. A believer in the notion that thinking outside of the box is a prerequisite for being a successful entrepreneur.